Planning your holiday getaway should be easy. You’ve earned the time off and all you have to do is decide how to spend it. 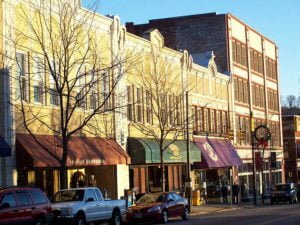 With so many things to do in Asheville NC in November, it shouldn’t be a tough decision. In fact, here’s a list. Rest, relax and return to your essential breath during this experience at Asheville’s Salt Cave. The calm, flexible and spontaneous breath will help create optimal conditions for health and well being. This mind-altering performance will feature the highly skilled men and women of Yamato. The 20th Anniversary Tour performance Rojyoh – The Beat on the Road will be held at the Diana Wortham Theatre at Pack Place. The first, largest and most walkable tour of working artists’ studios in the region, the studio stroll in Asheville’s River Arts District features homemade gifts that are one-of-a-kind. 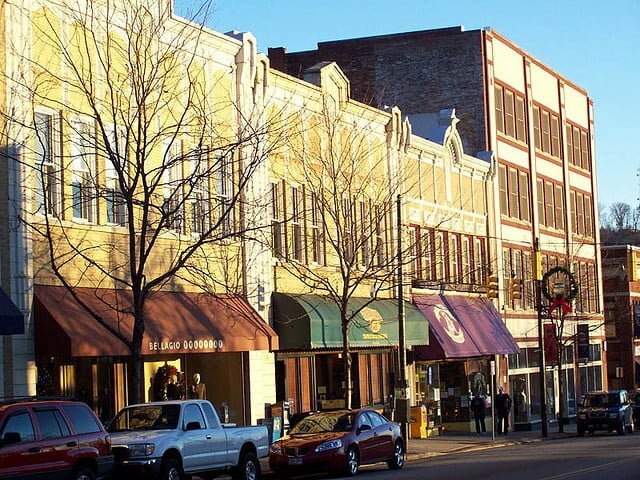 It takes place in 19 historic buildings along the French Broad River! Take the studio stroll to view artists’ demonstrations and participate in hands-on activities throughout the weekend. 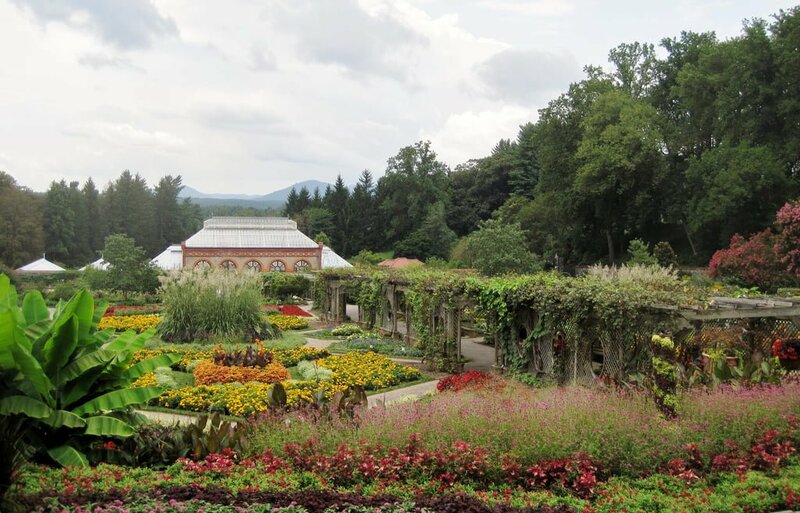 Get into the Christmas spirit at the Biltmore Estate. The house will be filled with a warm glow of firelight and candlelight. It will be accented with delicate ornaments and priceless treasures. 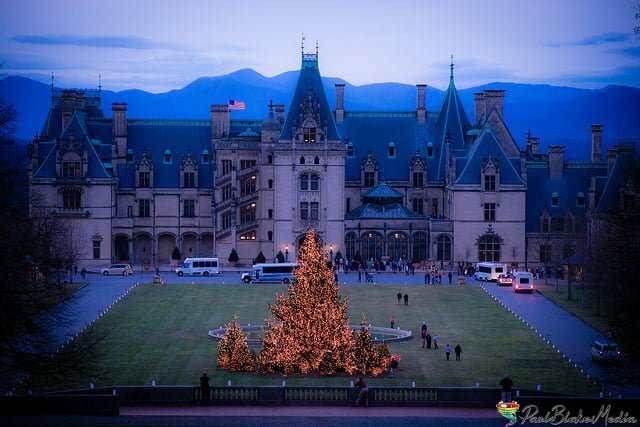 Thousands of twinkling lights will illuminate the evergreens in the front lawn of the Biltmore House. This is a great event for all ages. From 10 a.m. until midnight, you can delight your taste buds with some of Asheville’s finest brews. The Brew Crawl departs from El Camino, and stops include Piscah Brewing Company, Highland Brewing Company, Burial Beer Company, Greenman Brewery and Wicked Weed Brewing Company. You don’t need to worry about finding a designated driver either. Transportation, lunch and dinner are all included in the price. With 16 recordings, Keller Williams built his reputation on engaging live performances. No two are ever alike. Catch him this November at the Orange Peel Social Aid and Pleasure Club on Biltmore Avenue in Asheville. 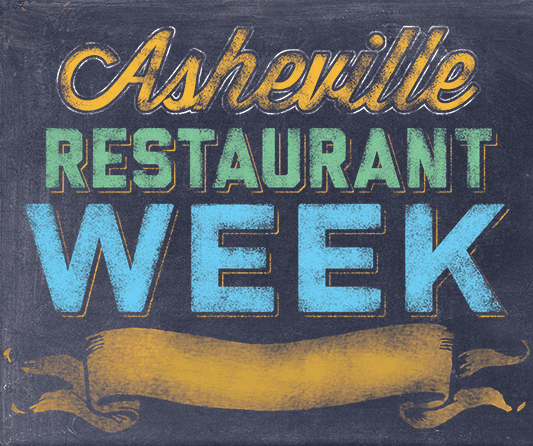 This is Asheville’s premier culinary event. It’s an evening of food, wine and beer tasting with 40+ restaurants, wine sponsors and local brewers. It’s always a sold-out event! This is one of our favorite things to do in Asheville NC. “Now and Then: A Journey Through a Century of Great Solo Piano Jazz” will feature Dr. William Bares. The show begins at 7:30 p.m. at The Forum at Diana Wortham Theatre. Tickets are $20 in advance or $25 on the day of the show. It’s $15 for students and children 12 and under. This is a hilarious Christmas tale about a couple that’s struggling to put on a church Christmas pageant. It’s a terrific piece for family audiences. The motto is “Plan for the worst – hope for the best!” Shows will start Fridays and Saturdays at 7:30 p.m. and Sundays at 2:30 p.m. There will be no performance on Friday, November 29. Now that you have a list of things to do in Asheville NC in November, reserve your room at the Orchard Inn, a quiet mountain bed and breakfast. Take a closer look at our rooms and rates.